Make plans but be loose with them. Inflexibility can block wonder from unfolding. Be willing to be surprised. The story behind the making of the above painting illustrates this perfectly. 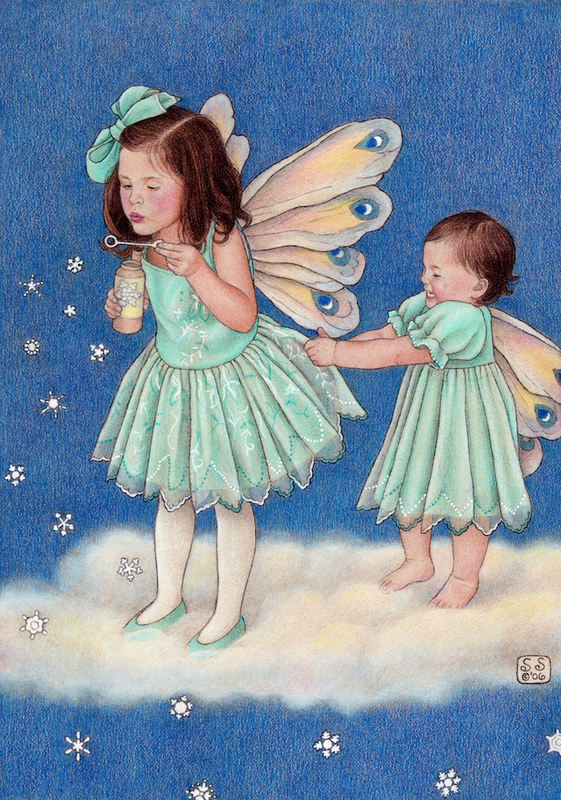 The two little fairies are my nieces Madi and Emma. Originally, I hadn’t planned on the younger one being in the picture. At her age, I didn’t think there was any way Emma would cooperate. 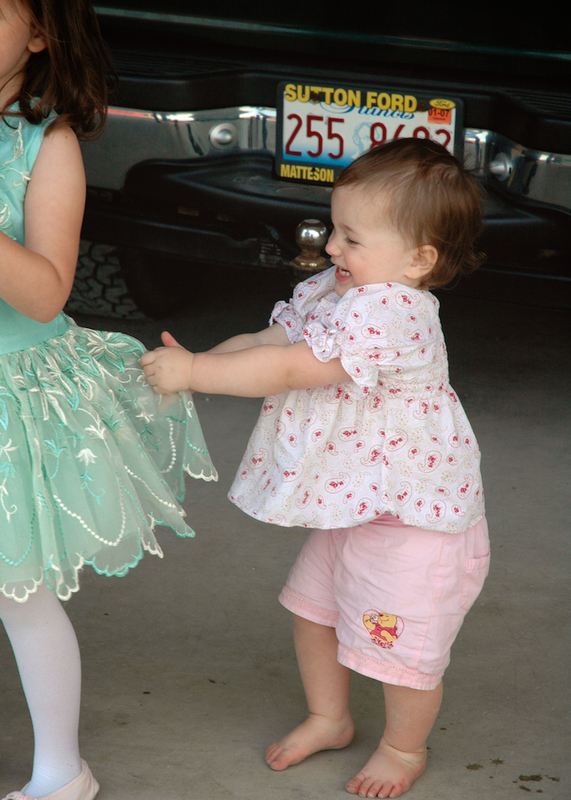 While photographing Madi, to her mother’s dismay, Emma jumped in to have some fun with her big sister’s skirt. Luckily, I had my camera in hand to freeze that fleeting moment. Seriously, there is no way I could have orchestrated that event. 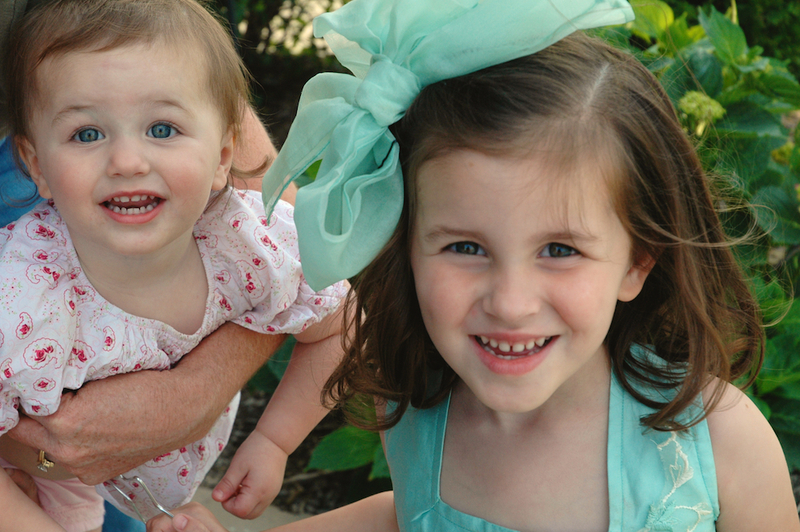 By staying out of my own way and signaling for their mother to let Emma be, I was able to capture a twinkling of joy. In my world, it doesn’t get better than that. Trust the flow. It’s the same wave that transports snowflakes dreamily to the ground. Airy, yet with purpose. Even if a gust of wind blows them off course, they still sparkle where they land. 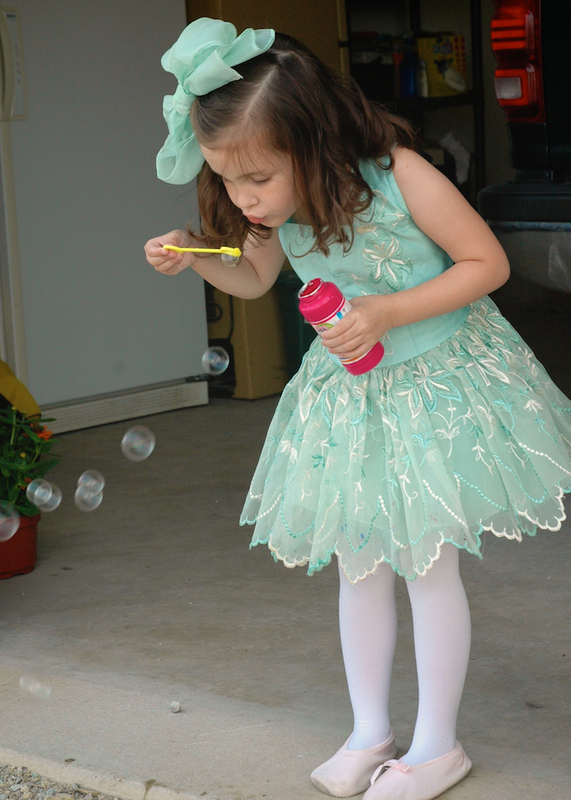 Madi practicing her bubble blowing skills. All text and images © Sue Shanahan. All rights reserved.